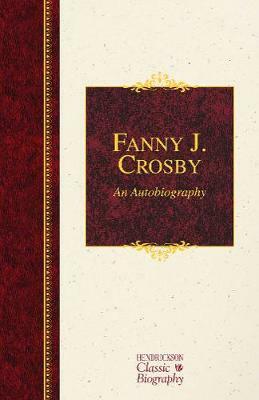 The author of over 8,000 hymns that remain today at the very heart of Christian worship around the world, Fanny J. Crosby can be ranked among the greatest Christian hymn writers of all time. Her songs are woven so intricately into America's spiritual life that there is scarcely a hymnal that does not include one of her memorable pieces. Through lyrics that evoke in us times and experiences long forgotten, her hymns have lost none of their power to express the truth about God's work and love. Herein are her memories of eighty years. Told in her own words, this book relates her story of a life characterized by great spiritual depth and profuse creativity. Though blind since infancy, Fanny Crosby overcame great prejudice to become a poet and teacher, much beloved and respected. She lived a remarkable life and her passion for God infused her lyrics with evangelistic zeal that points people to a loving and welcoming Lord.